While enjoying a busy career in his home country Russia, Artem Golubev has recently started taking on international engagements such as Vladimir Igorevich in Prince​ Igor ​at the Hamburg State Opera and Cavaradossi in Tosca​ at the Ópera Nacional de Chile in Santiago. He has also sung the role of the Villager in Prokofiev’s Semyon​ Kotko at the Concertgebouw Amsterdam, directed by Vladimir Jurowski. Upcoming engagements in Germany include Cavaradossi at the Staatstheater am Gärtnerplatz, Munich and his debut as Radames. Highlights of his schedule in Russia are Alfredo in La Traviata at the Mikhailovsky Theatre in St. Petersburg, Prince Gvidon and Lensky at the Mariinsky Theatre Vladivostok and Faust at the Bolshoi Theatre Moscow. His repertoire includes a large range of Russian operas, but also many of the major tenor roles in the operas of Giuseppe Verdi and Giacomo Puccini. 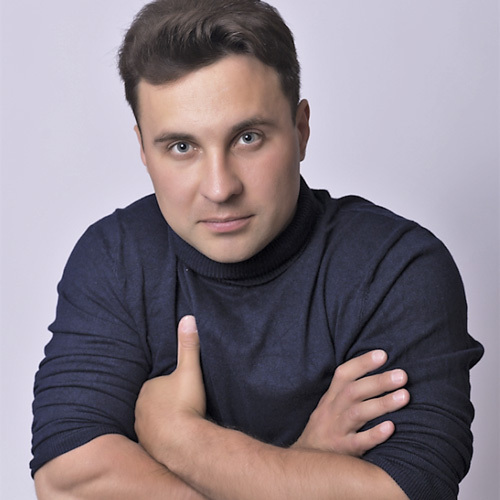 Artem Golubev graduated from the Omsk Dostoevsky State University and took a two-year course of master-classes at the Paata Burchuladze VocalArts Center in Omsk.